DeKorte Park in Lyndhurst is a great place to go butterflying -- to the point where the North American Butterfly Association even has a nifty little on-line guide about it, listing what butterflies you might see and what times of years you might see them. 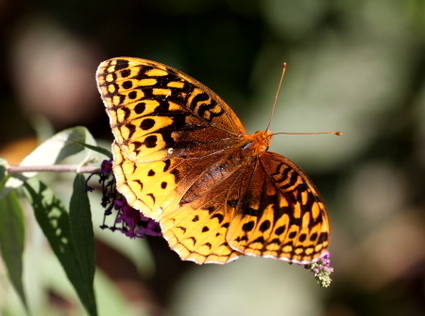 The butterfly above is a Great Spangled Fritillary, recently photographed at DeKorte's Butterfly Garden and even more recently added to the guide. FP: Yes, I saw the film for the first time at the festival. Even though every wedding tradition is different, the bride plays a very important role and is treated with great respect. Practically, a single incident or cycle of violence will have multiple causes. Lag means that the player shoots a ball from behind the header towards the footer. Since its their practice session, they are free to do something that does not prepare them fora real game situation if they want. , with a players meeting and Calcutta taking place before play begins at 12 p.
In Chinese Astrology, the Dragon symbolizes strength, vitality and love of life. They always have daily specials, and the deserts always a different special of the day as well. If crabs are your favorite, you may go for delicious king crab rolls made from spicy king crab. The Meadowlnads Commission will try to record sightings (and photograph them), but we'd also love to have the public participate. Report butterfly sightings to Jim Wright, jim.wright@njmeadowlands.gov, and he will pass them along. I am the record keeper for NABA North Jersey and edit the annual butterfly report called the Pearly Eye. We would be happy to send you or the butterfly garden coordinator a copy. But also it would be great to receive regular reports on the species (even the common ones) and approximate numbers seen in the garden. Is anyone keeping daily lists of the butterflies encountered? MYSTERY BEETLE Saw this guy last week in Harrier Meadow in North Arlington. It was about the size of a bumble bee. Can anyone help with an ID?